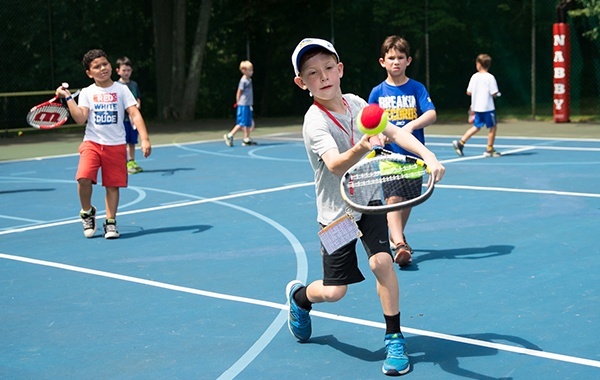 Our junior camp program keeps your child moving throughout the day and deeply engaged in a variety of sports and activities. It introduces kids between the ages of 4½ and 8½ to teamwork and technique. Whether they’re learning how to properly shoot a basketball or which direction to run on a baseball diamond, campers will be coached and encouraged all the way. 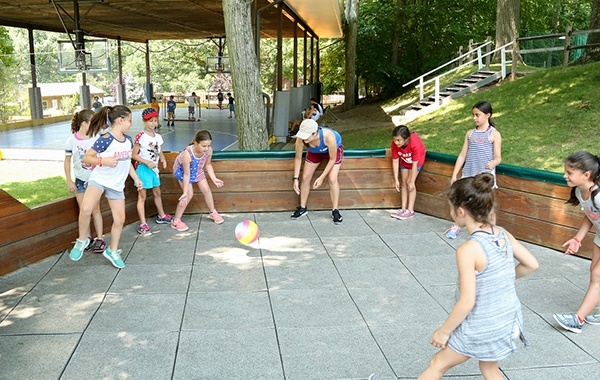 In addition to our rigorous athletic schedule, we also expect young campers to give it their all in our special activities—nature, art, music, gymnastics and our outdoor challenge course. By balancing our program for young children, and introducing them to a number of new challenges and friendships, we often see a boost in confidence and self-awareness. Not too bad for eight weeks! Our scaled-to-size athletic facilities allow every camper to participate and enjoy team activities without feeling undersized or outmatched. These scaled environments make coaching rules and techniques much more fun and participatory. Sometimes the best way to spend time on a ball field is to invent a game. We encourage all of our staff to take advantage of our equipment room and get creative with campers. 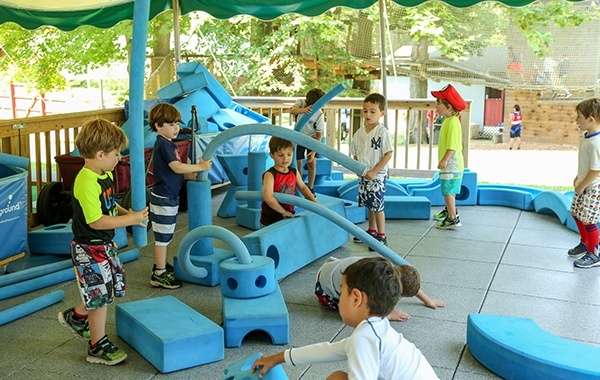 We've even added play spaces, like Imagination Playground, to encourage random acts of fun. As campers get older they tend to want more of their favorite activities. That’s why we give all third graders the freedom to choose their own single interest activity for the last period of the day. Think of it as an introduction to senior camp...pretty sweet, huh? We make sure there’s something new and special every week. Sometimes that’s a guest performance or it might be a giant inflatable castle. We encourage all junior camp parents to download our event calendar to stay in the know (but we’ll probably email you too).